Instagram is not necessarily at the top of every businesses’ list when it comes to marketing, yet it is proving to be a real powerhouse for all kinds of companies, in many different sectors. And many, many people use it. Just check out the stats here. Like any social media platform, if you don’t follow a few simple rules, you could find that you are wasting money and time on it. So we thought we’d put together a short guide to the platform, one that you should be able to pick up and take ideas from quickly. We think the following information is essential if you are to start, develop and use Instagram as an engagement and lead generation tool. It is very tempting to jump in and completely go for broke on Instagram. In fact, it is quite easy to not fill out all of the information that the platform asks of you. You know, all of that name and address stuff? But not doing so could alienate your prospects. Instagram can turn into an ugly mess if you don’t have a complete profile and a good idea of what you’re doing. As a small business it can be even uglier, because you don’t have the resources or time to get things put right again three months down the track. Get to know the platform. Familiarise yourself with the dashboard and options, and do all of that before you start posting. This will pay off in the long run. Hashtags are becoming a key way of standing out on Instagram, and they are very easy to use if you know how. The best piece of advice we can give you here concerns relevance. Use a hashtag that gives specific information about the photo you are posting. If you have posted a product photo for example, describe the product as clearly as possible in the hashtag. 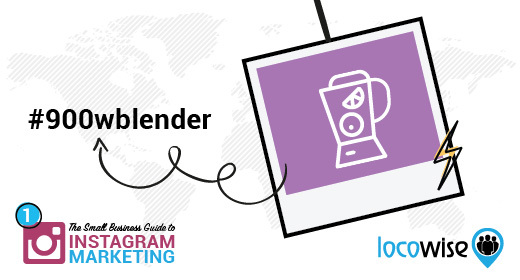 For example, if you are selling a blender that has a 900 watt power rating, use the hashtag #900wblender. This may seem a little basic or obvious, but there are literally millions people on Instagram, and it is pretty fair to say that millions will either be posting the same kind of stuff you do or something similar. You need to be as specific as possible with hashtags so that you get found. Instagram asks you for a description of what you post every time. It does this for a reason. By creating a high quality description that uses keywords and also contains (hopefully) details of your business to some extent, people will find you more easily. 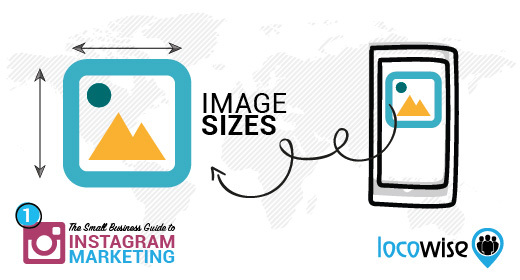 If you’ve been on LinkedIn recently, you’ll know that one of the biggest challenges the platform has is the image size that people use when they write articles and posts. It is devilishly hard to get an image right on LinkedIn, because the platform has been very specific on what it requires regarding pixels and dimensions. The same goes for Instagram. The platform is very clear on how to do it, as clear as LinkedIn. And if you don’t follow the instructions carefully, you will end up having a blurred image, something that looks very unprofessional. Perfectly shot, you instantly feel like you’ve gained the satisfaction you wanted at the end of it. So it has an immediate effect on you. Just like the drink. For example, profile pictures on Instagram are cropped right down to 150 x 150 pixels. That’s as small as you could possibly want an image to be in terms of online viewing. Bear that in mind for a start. But the clincher here is that Instagram does what LinkedIn does, in that it allows you to essentially have any size you want on the platform. So even though some images will look grainy and weird if you post them at the size you have chosen, the Instagram guys will let you do it anyway. You need to know what works and what doesn’t. Practice, in other words. It is a visual social network platform, after all. Like any other social network, Instagram requires activity. And it’s arguable that the platform requires a little more than other places. Get out there and follow people who are of interest to your company, and like posts a lot. The more you do this the more momentum you will build up. It is absolutely essential that the momentum is there because if you don’t get some kind of groundswell going, the efforts will be wasted. The best way to do this is to allocate part of your day to building momentum on Instagram. Similar to other social networking strategies, find a few minutes a day and stick to it. This way you can guarantee that you have structure. In those few minutes on Instagram, like as many relevant posts as possible, and also follow people who are genuinely worthy of your attention. Oh, and by the way, research shows that hearts make up the vast majority of interaction and activity, at 97.2%. You can’t fight that, so join the club. Your marketing is a complex beast, but at some point you should have done some research on the buyer personas you are trying to reach. 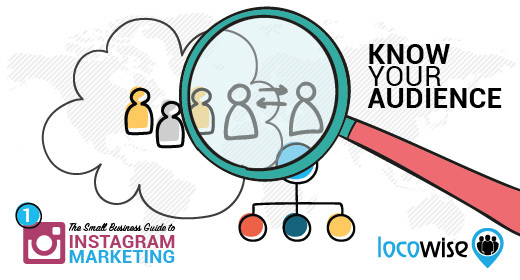 Put simply, you should know who your audience is. Once you have that down and sorted, it’s important to make sure that your Instagram presence actively speaks to them. This cannot be emphasised enough and we think it is one of the key tips we can offer in making yourself ready to rock Instagram. Knowing who your audience is and what they like to do makes it much easier to post. Let’s say you sell a hot drink or a beer for example. Finding out that your customer is typically someone who works very hard every day and needs to find more ways to relax is a real bonus, and it should be clear through your market research. Start posting photos and images that link to the idea of getting home from a stressful day at work, sitting back and cracking open one of your beers. This taps directly into the mindset of the people you are selling to or want to sell to. And it’s all about understanding your customer. They will not stick around for long if you only post pictures that are easy to find or create. They will run for the hills if you post stuff that means nothing to them. Listen to your customers, find out what they like and need in their lives and give it to them. It is a sure-fire way of ensuring that your Instagram channel is liked, and then loved. It is easy to be tempted to post as much stuff as possible, but too many companies are doing this and not getting anywhere. You need to ensure that you don’t over-post content, because it will most definitely turn your audience off if they see that you have posted twelve times in one day, for example. Why? Well, a couple of reasons really. Perhaps the most obvious one is that people will think you’re trying way too hard. And if you’re trying way too hard at anything, it gives the impression that you don’t understand it or you are desperate. Neither of those two impressions is a good one. And you also present the impression that you have time to post in high volume amounts. Who has time to spend hours on Instagram if they are busy selling and helping their customers? You don’t want to present as a company that has time to blanket post on Instagram. Put it this way, you don’t even have to post every day. By all means do if you want to, but we don’t recommend a massive amount of daily posting nor multiple posts before lunchtime. It just gives off the wrong impression and it turns people away. In fact, currently, the average number of posts per day is 2.41. This one is a real classic, and it always rings true. You have to promote your Instagram account wherever you can. The way to do this is to ensure that there is an Instagram icon and link on your site, so that people know you are there and that you are proud of what you do on the platform. Proud enough to promote. In addition, link to your Instagram account and posts on your other social networks. Go old school and publicise it on your business cards. And if you still use letterheads, get it on there too. 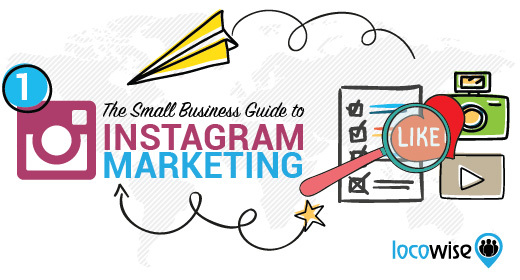 Small businesses should be on Instagram, but only if they make a real effort to get it right. Following the tips above should ensure that you don’t jump into the party without being prepared. Here’s the advice in a nutshell. Instagram shouldn’t be rushed. Take your time to get to know the platform and how it works before you start posting content. If you do that you’re more likely to gain traction on the platform. Focus on value. Your prospects and customers don’t have any time at all in their day. Why should they spend a precious few minutes with you? Tell everyone that you are on Instagram and generally promote like your life depended on it. You will get a lot more mileage outside the platform than on it. Get the tech stuff right. Images are hard in instagram. Don’t make them harder by ignoring the specifications. Be friendly and start sharing the love. More likes and following of others means that you’re in for the long haul.